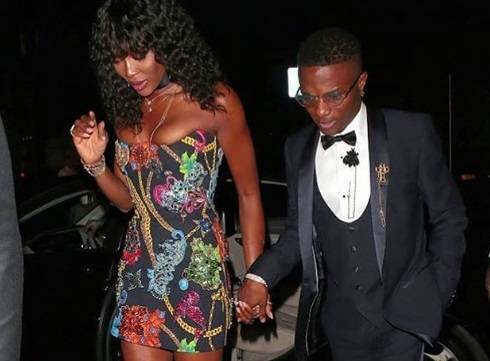 48-year-old model, Naomi Campbell arrived at the venue of the event, holding hands with the 28-year-old singer, who was dressed in a black suit. This is not the first time Naomi and Wizkid are making an appearance together. In May during the singer’s concert at the 02 Arena, Naomi ushered in the singer. The following month in Paris, the pair walked the runway together for international fashion brand, Dolce and Gabbana.